Stanford sophomore Mallory Burdette of Jackson, Ga., is ranked 21st in the Division I Women's National Preseason Singles Rankings. Last season, Burdette received ITA Rookie Player of the Year for the Northwest Region and Pac-10 Freshman of the Year honors, and she was named MVP of the NCAA Championships All-Tournament team, after providing the clincher in Stanford's 4-3 win over Florida in the national championship match. 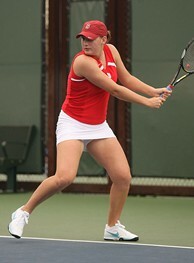 Burdette finished the 2009-10 season with a national singles ranking of No. 32, and she was tied for the team lead in victories with a 38-6 overall mark. 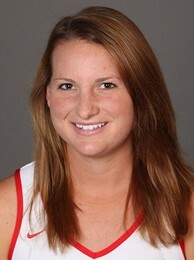 She is one of three Burdette sisters to compete for the Cardinal, as her eldest sister, Erin, was a four-time All-American and member of the Stanford women's team from 2002-05, and another older sister, Lindsay, also competes for the Cardinal. Off to another great start this year, Burdette teamed with senior Hilary Barte to win the doubles title at the Riviera/ITA All-American Championships earlier this month. With the win, the duo earned an automatic bid into the upcoming USTA/ITA National Intercollegiate Indoor Championships, which will be held at the USTA Billie Jean King National Tennis Center in Flushing, N.Y., from Nov. 4-7. Burdette recently took time to answer questions for USTA.com about her outstanding freshman year, why she chose Stanford, what it was like to become an overnight YouTube star with sister Lindsay after clinching the NCAA title last year and much more. USTA.com: You were one of the top recruits in the class of 2009. With one sister, Erin, a former Stanford star, and another, Lindsay, on the team, did you really look anywhere other than Stanford? Can you tell us a little bit about your recruiting experience and why you did choose Stanford? Mallory Burdette: My top two choices during my recruiting process were the University of Georgia and Stanford. I only looked at these two schools because I was confident in what I wanted in a college and tennis program. While UGA was close to home, Stanford was appealing for many other reasons. I was obviously drawn to the tennis program and its success over the years. I had a very unique perspective when I looked at Stanford because one of my sisters had already graduated and the other was still on the team. I already knew quite a bit about the coaching staff and the team dynamic, so I was very confident in my decision to go to Stanford. On top of the great tennis program, I really enjoyed getting to know other Stanford students on my visit. Stanford has a very unique learning environment, mainly due to the outstanding students that go here. USTA.com: Did you ever consider turning pro? If so, how difficult was that decision for you? Mallory Burdette: I did consider turning pro for a while during my junior year of high school. At the time, I had played a lot of ITF tournaments, and I felt like I was playing some of my best tennis. It was hard to make the decision because, on one hand, I felt like I had put in years of hard work and that I was a "failure" if I did not go pro, but, on the other hand, I was excited about the opportunity to play on a team and to experience college life. By the time the recruiting process rolled around, I had already made the decision to go to college. It was the best decision I have ever made. Looking back now, I could not imagine missing out on all of the amazing things I have experienced here at school. Also, I still have the option of going pro in the future, if the time is right. USTA.com: You had a great freshman campaign last year, being named the MVP of the NCAA Championships after clinching Stanford’s 4-3 victory in the finals over Florida, and you’ve already started this season with a bang, taking home the doubles title at the ITA/Riviera All-American Championships with Hilary Barte. What kinds of improvements have you made from last year to this year? Mallory Burdette: Some of the biggest improvements in my game can be seen in my serve and my volleys. I knew I had to step it up if I was going to play doubles with Hilary, a former NCAA doubles champion. Haha. I think another area that I have improved from last year is my general approach to the game of tennis. I have realized that tennis is, in fact, a game and that the only reason we keep score is so that we know when to stop. While it is intense and you want to win each time you step on the court, that is just not realistic. I think that has been important for me to keep in mind because it is very easy to get sucked into the stress that comes along with expectations. USTA.com: Speaking of last year’s NCAA title, you and your sister Lindsay become overnight YouTube stars, with her tackle of you after that clinching match. I’m sure you’ve been asked about it a million times, but if you could, can you give us a little play-by-play of that moment? Mallory Burdette: After being up 40-0, I won on the third match point, when I hit a few shots from the baseline and she hit a forehand wide. I remember seeing her shot go up and screaming in my head, "GO OUT, GO OUT!" Once the match was over, I didn’t even comprehend the fact that we had won the championship. Once I looked towards my team, I saw Lindsay out in front of everyone else. As kids, we were never afraid to hit each other and fight, so it didn’t surprise me at all that she tackled me. It did not hurt in the heat of the moment, although I had a little neck pain the next day from the whiplash. I wasn’t complaining, though. It was a pretty cool moment, and I wouldn’t change anything about it. USTA.com: Your coach, Lele Forood, is one of the most successful coaches in college tennis. What have you learned from her since coming to Stanford? Mallory Burdette: She has taught me countless things on court, but one of the biggest things that I have learned from Lele came from off the court. With all of her success over the years, she understands that either we are going to win or we are going to lose and that, whatever happens, life will still go on. She pushes us to be intense and to focus but also to keep things in perspective. It kept me relaxed in the big moments, and it allowed to me to play up to my potential. I think that type of thought process was instrumental to our success last year. Mallory Burdette: This season, I hope that we can continue our home-court winning streak, which now stands at 164. In order to do that, we will have to win NCAAs again because it will be held here at Stanford. We are super excited to play at home during the Championships! Throughout the season, I hope that I will pull my weight and play up to my potential in both doubles and singles. USTA.com: There are a lot of great rivalries in the Pac-10. What match will you look forward to the most this season? Mallory Burdette: I am most looking forward to our home match against the University of California-Berkley. Cal is one of our biggest rivals, and it is always an exciting match when we play them. USTA.com: Stanford is very demanding academically. What is your favorite class? How do you balance your time between tennis and school? Mallory Burdette: My favorite class so far is a psychology class called "Introduction to Perception." In it, we are studying about the human eye, its connection to the brain and why we perceive things the way we do. It takes constant effort to keep myself organized, with classes, the team and tournaments. I find that I get the most out of academics and athletics when I plan ahead for the big stuff, like exams or tournaments, and take the rest one day at a time with everything else. You can only plan so much before that becomes stressful, too! Mallory Burdette: I would encourage junior players to strike a good balance between training and playing tournaments. On one hand, you want to play tournaments to get exposure to college coaches, but you also need time to get out of match mode and just work on specifics in your game. Obviously, school is another big factor in the equation of getting into college, and each person’s school situation is very different. I encourage figuring out what set up allows you to learn the most and to work really hard because the schooling part is just as important as the tennis part when getting into a top college.